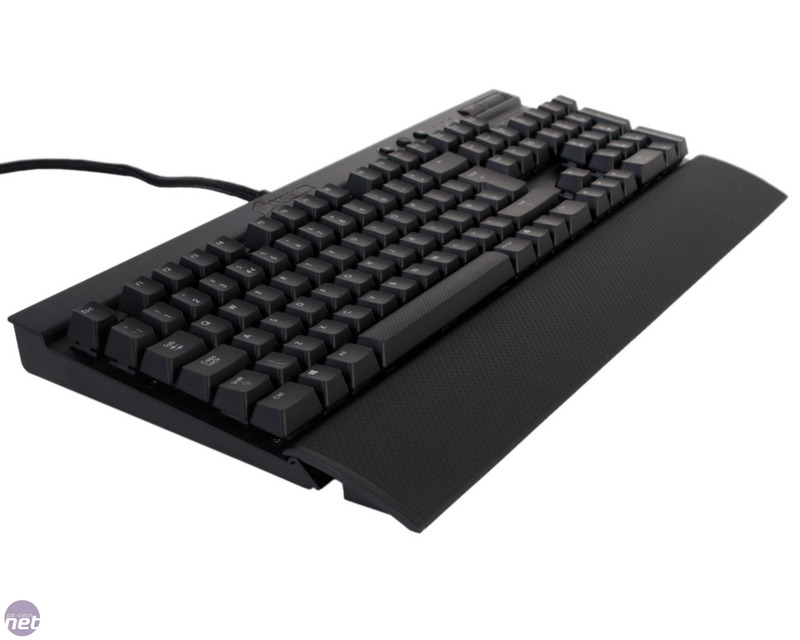 We were mightily impressed when the Corsair Vengeance K60 first appeared on our desks, as it's a fairly priced and well made mechanical keyboard. 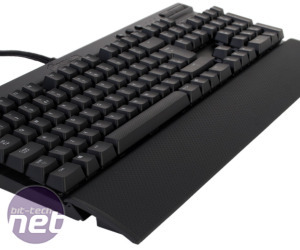 The newer Vengeance K70 retails for around £30 more than the K60, so it'll need to do a lot to earn itself the same praise. 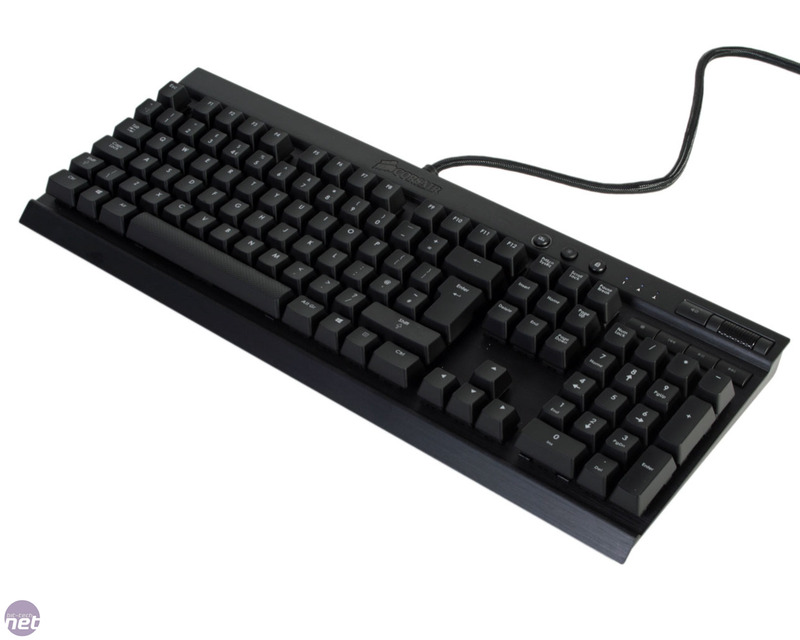 It still comes in cheaper than boards like the Filco Majestouch 2 and Ducky's DK9008 Shine 2, however, but equally it's more expensive than other mechanical offerings like the Ozone Strike. The K70 uses the same gorgeous brushed aluminium front sheet atop its solid plastic body as the K60, with an indent for the main keys. The keyboard is truly rock solid, and simply refuses to bend, flex or creak, even under high pressure. While the board is advertised as a weapon for gamers in virtual arenas, we're confident it would serve the same purpose well in reality. The single thick cable that protrudes from the rear is braided to a very high quality, and finishes in a pair of clearly labelled red USB plugs. 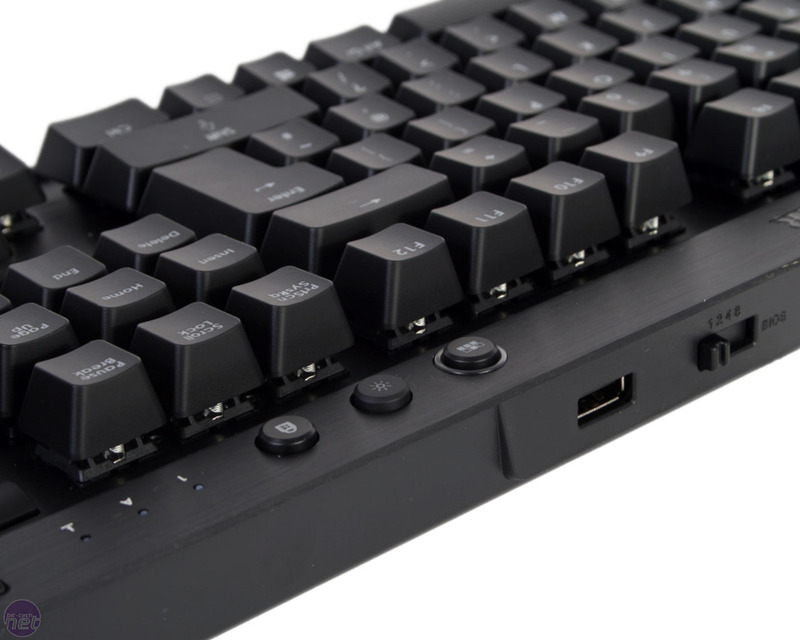 Only one is required for the keyboard to work, with the second reserved for the functionality of the USB 2.0 pass-through that's also on the back. 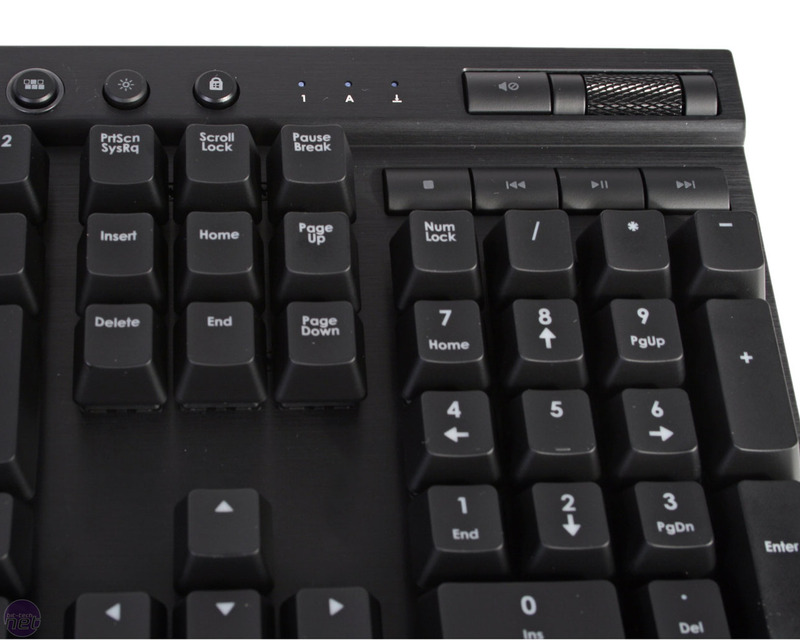 The new board retains the layout and media controls of the K60, so the useful Windows lock key and lovely metal volume wheel are still present. This does mean there's no macro functionality (this is offered in Corsair's Vengeance K90 and K95 boards), but equally it helps to keep the keyboard's profile and price smaller, and avoids the need for extra software. Each of the main keys are again raised above the aluminium surface, so it will prove easier to clean than those with keys embedded in the body. 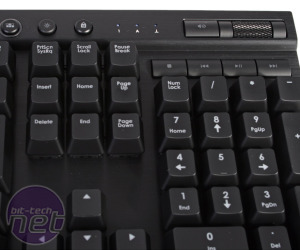 The K70 also boasts full anti-ghosting capabilities as well as n-key rollover (every key will register, even if you mash it with your face) and we weren't able to detect any key combinations where keys wouldn't register. A pleasing upgrade over the K60 is the wrist rest, which now runs the full length of the board. It clips into place easily and is coated in a textured soft touch material that's comfortable and not too sticky or too low friction in use. Both the wrist rest and the base of the board also have rubber grips to keep things in place. 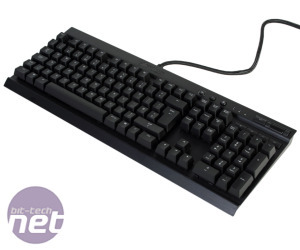 Oddly, the same cannot be said of the front or back pairs of plastic fold out feet, so you'll lose a bit of grip if you use these, but we never had the K70 sliding around in use. Another new feature is the keyboard's BIOS switch, which allows you to toggle the board between four USB polling rates (up to the default 1,000MHz) and a BIOS mode, designed to increase its compatibility with older motherboards. We suspect this will be mostly useless to the majority of buyers, but we can't fault it for being there.